When the drum driven the motor runs at full speed, the feed valve automatically opens up and the suspension liquid goes through the feed pipe into the drum, where the liquid phase passes through the filter gauze and the screen openings on the drum and is kicked off by the centrifugal force and flows out of the tangential discharging outlet, while the solid phase is retained inside the drum. When the set time is reached, the feeding stops. 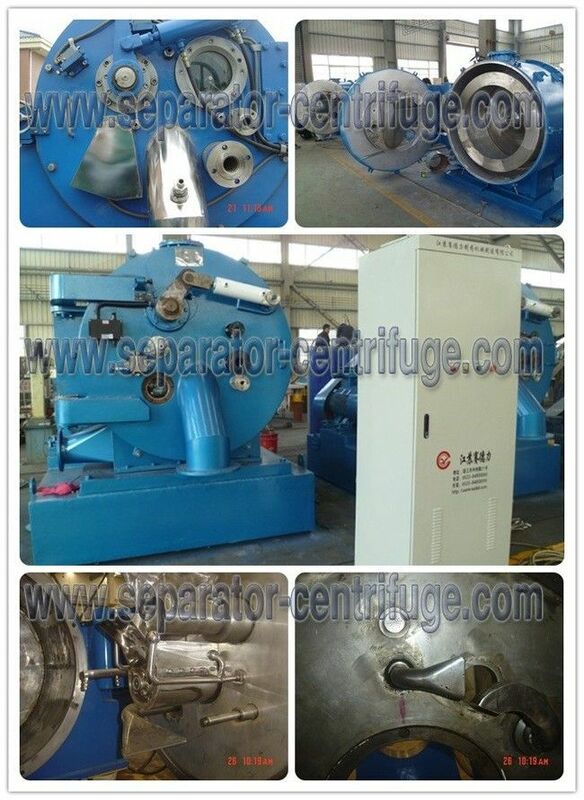 After a given period of time of separation and dehydration, the washing valve acts and the cleaning liquid passes through the washing pipe into the drum to wash the filter cake. Upon the completion of washing, further separation is conducted till the required degree of dryness of the cake is reached. Then discharging starts: the scraper holder rotates enabling the scraper to cut into the cake layer and the cake is scraped off and discharged from the material hopper. 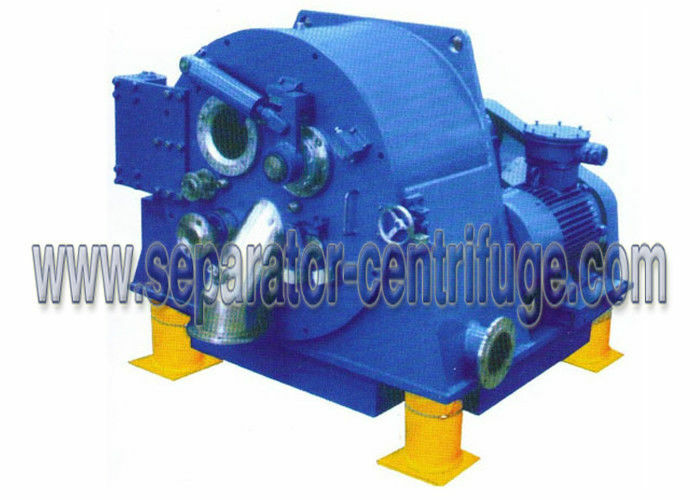 Model PPC/PPCS centrifuge is the filter equipment characterized with continuous running, scraper discharging and intermittent operation, applicable to the separation of the suspension liquid containing medium-sized granules or fine granules (0.01mm~5mm). 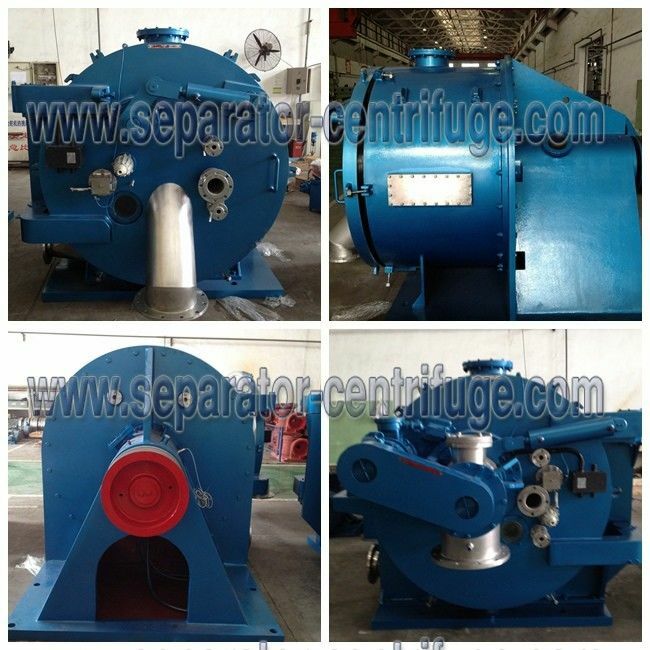 It can also be used for the separating of the suspension liquid containing short fibers (with the fiber length less than 4mm), with the concentration of the suspension liquid being 10%~60%. 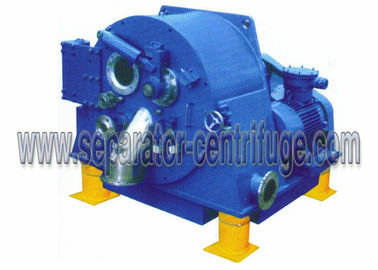 With hydraulic and electric joint control mode adopted, this series of centrifuges are capable of high degree of automization, with such working processes as feeding, dehydrating, washing, discharging, etc. being operated manually or by means of PLC for full automatic control. 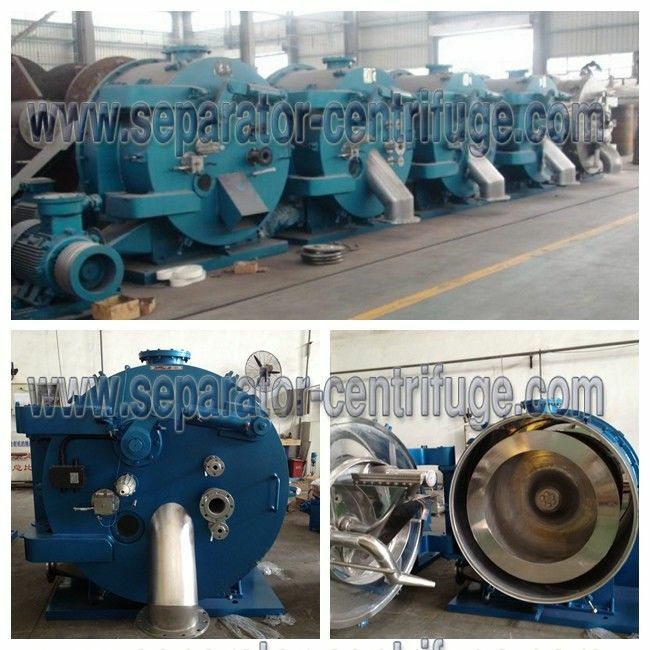 The horizontal scraper discharging centrifuge has good adaptability to the material to be processed and thus can be widely used in such industrial fields as chemical, light industry, food, pharmacy, etc. 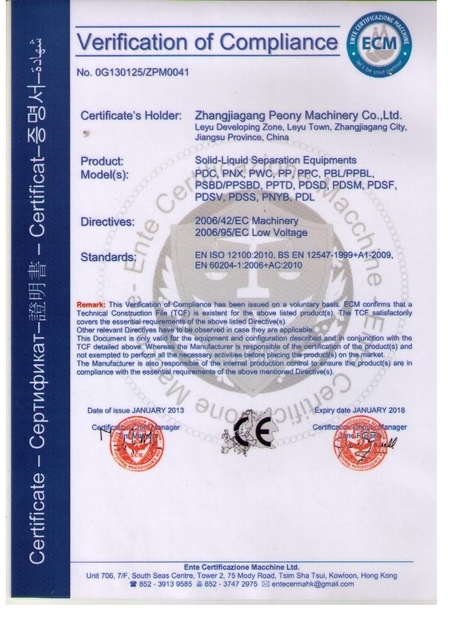 for the separating of over 100 kinds of substances including ammonia sulphate, sodium sulphate, anthracene, boric acid, starch, pesticide, synthetic resin, sodium cyanide, potassium chloride, sodium bicarbonate, etc.